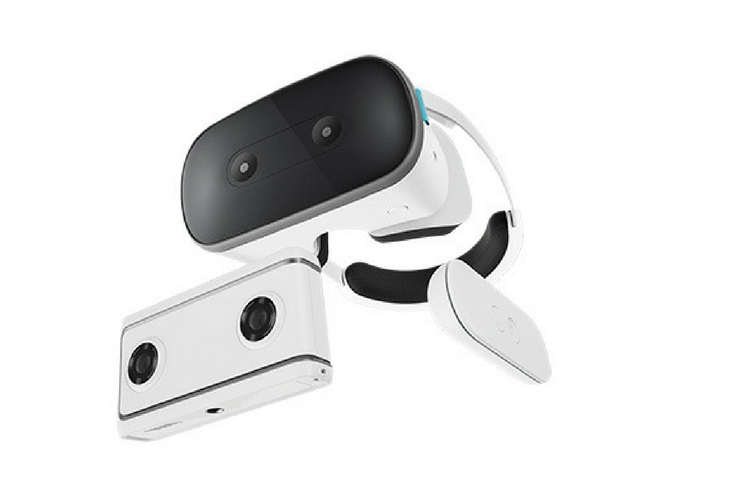 Earlier this month, Lenovo launched a new Daydream VR headset called “Mirage Solo.” It is a one-of-a-kind headset that works without any smartphone. And now, the company has introduced its latest addition to the virtual reality (VR) market, the Lenovo Virtual Reality Classroom. As the name suggests, it is focussed on education, and it allows teachers to take students on virtual excursions. And yes, you guessed it right, it uses Mirage Solo DayDream Headset. This classroom version of the headset comes pre-loaded with over 700 Google Expeditions experiences. According to Lenovo, each experience includes “stopping points,” that allows teachers to take breaks and answer questions. Considering the fact that Lenovo’s headset works without any need for an additional hardware like a smartphone, it makes it an all-in-one solution. 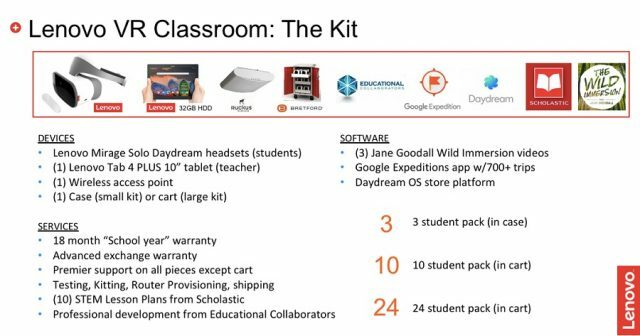 However, each of these classroom-focused packages still come bundled with Lenovo’s Tab 4 Plus 10-inch tablet. The included tablet acts as a means to control the overall experience for the students. So think of it as a dashboard to control the overall experience. In addition to that, Lenovo also includes a Ruckus R510 wireless router, customized lesson plans and an extended warranty (18-months). With $2,899 price tag, this VR package is being positioned as more of a professional and/or commercial purchase. The package includes everything that’s mentioned above. You’ll also get three headsets and the storage case. In case you’re interested, there are more comprehensive packages with either ten headsets or 24. And speaking of availability, the Lenovo Virtual Reality Classroom is scheduled to become available in the US in April. However, there’s no word its availability outside the US.